Imagine arriving at a hotel to check in and as Reception staff take you through necessary information about the Hotel they add… “now we must inform you that we don’t have smoke detectors or alarms in this hotel – but we do have fire sniffers – they’re highly trained individuals who walk around, throughout the day and night, looking for signs of fire and sniffing the air for the tell-tale smell of burning. 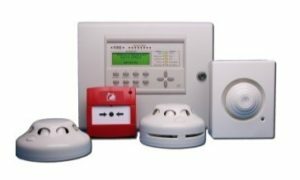 And if they smell a fire or think anything’s wrong then they sound the alarm and take emergency action – so you’re very safe”. You’d be horrified. Wouldn’t you? Because we take it as an absolute given – Hotels have Fire Alarms. And you’d probably be thinking – “I don’t want to stay here” – especially if you had young children with you. So, if you wouldn’t stay in a hotel without a fire alarm why would you swim, or allow your children to swim in a pool without a Drowning Alarm? `Drowning Prevention Technology’ comes in different forms including wristbands and optical cameras. These technologies have been developing and refining for years and they’re out there now. In pools like the Mandarin Oriental Hotel, London and many more. They work. Really well. If someone’s in trouble an alarm sounds and trained staff respond. So, if someone’s in trouble there WILL be an alarm. Someone WILL come and perform a rescue. It makes a pool much safer. Drowning Alarms work equally well in pools with Lifeguards or without. Being only human, Lifeguards are, like all of us, subject to human error and/or failure. This can be the result of distraction, tiredness, complacency and a whole long list of other potential human factors. Health and Safety knows a lot about Human failure. That’s why we have technology – like fire alarms, airport scanners, air bags and seat belts. Pools that don’t have Lifeguards will have Emergency Responders and a Drowning Prevention System ensures that they know when someone’s in trouble and a response is needed. 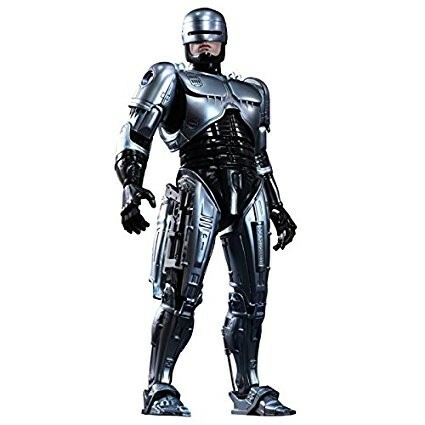 Hence the link to Robocop – an `enhanced’ human. A human enhanced by technology. Like a hotel fire warden (not a sniffer) who works with a Fire Detection System. Whatever we call our pool people (the names not important); `Emergency Responders’, `Lifeguards’ or `Pool Safety Animators’ technology must work with people to support people. What is critically important is that a pool has proven technology which is embedded in an integrated pool safety system. Let me repeat that `an integrated pool safety system’ which considers how everyone and everything fits together – so that no-one drowns. No-one. Ever. So, the next time you go for a swim please do your bit and ask if they have a Drowning Alarm? And if not why not?